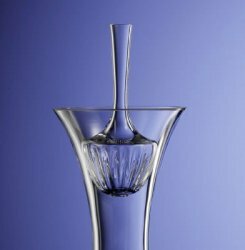 Finesse Bouquet-Star fans the wine into a waterfall as it is pour over the surface. Therefore providing maximum aeration. Younger red wines can also be improved through this process as well - causing the wines to become breathed, rounder and ready to enjoy much more quickly than usual.